Registration for 2019/2020 NTU Open House is now open! 2018 Career Talk in NTU, NTUST, NTNU! 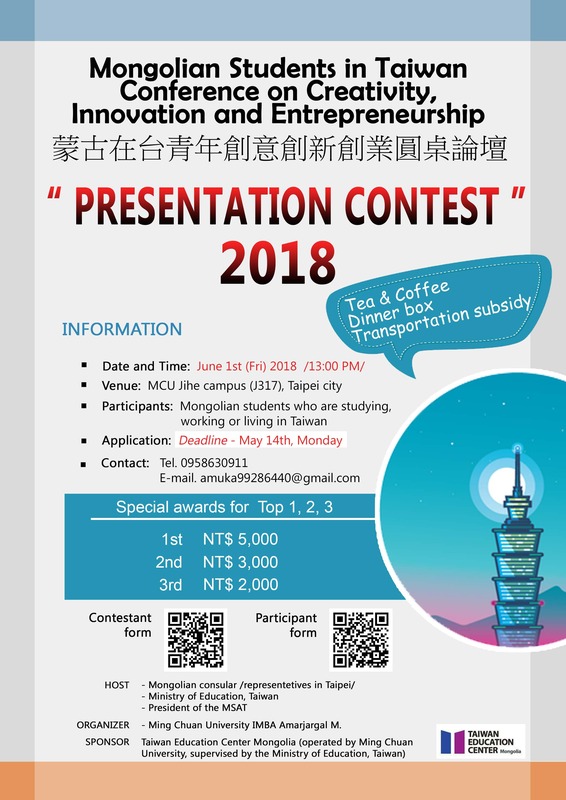 Foreign Students Working in Taiwan -So EASY! Plus Academy Summer+ Program APPLY NOW !!! Winners of 106-1 Suit Now To U Photography Contest have been announced! 2017 Contact TAIWAN Career Talk at NTU: Foreign Students Working in Taiwan - SO EASY ! Office of International Affairs (OIA) will be closed on Labor Day, Monday, May 1. HKU President Mathieson's speech at NTU on Tue 3/21 at 2pm! Call for "Taiwan-Chair" to Ghent University, Belgium. Deadline August 26, 2016 Belgium time. NTU Silicon Valley Office Grand Opening! Welcome to the NTU World Carnival Festival on April 30! 2016 HTC MA Program Launch Now! 2016 Nantou Summer Work Camp Call for Volunteers! 【Models Selection】 Are You “NTU” Enough for NTU Branding Products? 2016 Faculty Exchange Programs, 2nd call for applications. [Forward] AIT Movie Night “Glory Road” on Friday, November 20, 2015 at 18:00-20:30! 2015 European Education Fair will be held at NTU Sports Center on October 16-17! Confirm your General Chinese course result on Sep. 20. 13, September, General Chinese Registration & Placement! 2015 TaiwanICDF Summer Camp is now open for registration! 2016 Faculty Exchange Programs. Apply Now!